The Chinese of Tian Ji's Horse race--Tian Ji Sai Ma is 田忌赛马. During the Warring States Period，there was a great military strategist named Sun Bin, an alleged descendant of Sun Tzu, the author of "The Art of War". It was said that Sun Bin was circumvented in the state of Wei by his fellow student Pang Juan, and thus was sentenced to face-tattooing (criminal branding) and had his kneecaps removed, rendering him a handicap for the rest of his life. Later Sun Bin escaped from Wei to State Qi. In Qi, Sun Bin made good friends with Tian Ji, a high official and general. Like ancient Rome, horse racing was the most popular entertainment among Chinese aristocracy at that time. Both Tian Ji and the king of Qi were horse racing fans. They often spend lots of money bet on winning or losing. Since the king's horses were better than his, Tian Ji lost most of races. One day, Tian Ji lost again, home depressed. Sun Bin who happened to visit him said: " Take me to the race next time, perhaps I can be some help. When another horse race, Sun Bin, sitting in the grandstand, carefully observed the race. He learned that everyone's horses by their speed were divided into three different classes: regular, plus, and super, and thus different at decorations, and the rule is to have three rounds in a race; each of the horses must be used in one round; the one who won two rounds was the winner. He also noticed that though won every round, the king's horses are not much better than Tian Ji's. So Sun Bin said to Tain Ji with a smile:" My friend, go ask the king for another race. I have an idea that can make sure you win this time." "Really? " Tian ji was delighted and very curious about the details. "My idea is very simple," Sun Bin said,"I found you used your super horse against the king's super, plus against the king's plus, and regular against the king regular, and you lost all the three rounds. This time, you decorate your regular horse as the super, plus as the regular and super as the plus. In this way, your regular will compete with the king's super,you will lose this round for sure, but your plus will beat the king's regular, and your super will defeat the king's plus. You still will be the winner." The result of the second race turned to be exactly the same as Sun Bin had expected. The King surprised by the unusable lose asked Tian Ji where he got those good horses in such a short time. Tian Ji told him about Sun Bin`s trick. The King met Sun Bin and the latter told him that when the two sides were match in power and proper strategies could bring success. 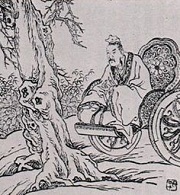 The King then appointed Sun Bin as the strategic adviser to General Tian Ji. Afterwards the Qi`s army, with the help of Sun Bin, won many battles. 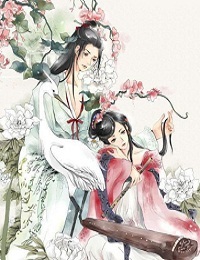 This story is from "The Records of the Grand Historian"《史记》written by Sima Qian 司马迁. Many people believe this story is one of the origins of Game theory which is now widely used in business and politics. Now I understood why Chinese people do not respect laws. That is a very funny comment. You can not judge a group of people just by a story. Just like you cannot say all Christian are lairs simply because their believed-ancestor Jacob used to trick his older brother into giving up his birthright in exchange for a bowl of stew. And something you should know is that many people believe this story is one of the origins of Game theory which is now widely used in business and politics.